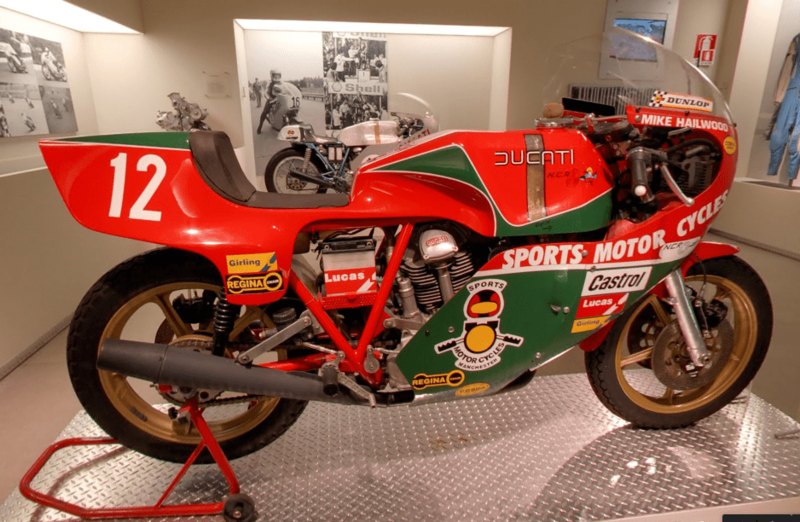 Mike “The Bike” Hailwood was certainly a force to be reckoned with. Between 1958 and 1967, he competed with great success, winning nine motorcycle Grand Prix World Championships and fourteen Isle of Man TT races. During a break from mainstream motorcycle racing from 1968 to 1978 he participated in non-World Championship motorcycle events and continued his second career, as a racing driver competing in the Formula One World Championship (1963 to 1965 and 1971 to 1974) and the 24 Hours of Le Mans (1969 to 1970 and 1973 to 1974). Whilst competing in the 1974 German Formula One Grand Prix at the Nurburgring, his McLaren crashed and he suffered serious leg injuries and retired from motorsport completely. Completely, that is, until 1978 when he staged possibly the greatest sporting comeback of the twentieth century by winning the 1978 Isle of Man TT Formula I race on a Ducati 900SS. He went on to win the Senior TT race the following year but it is for his comeback performance in 1978 that he is best remembered. 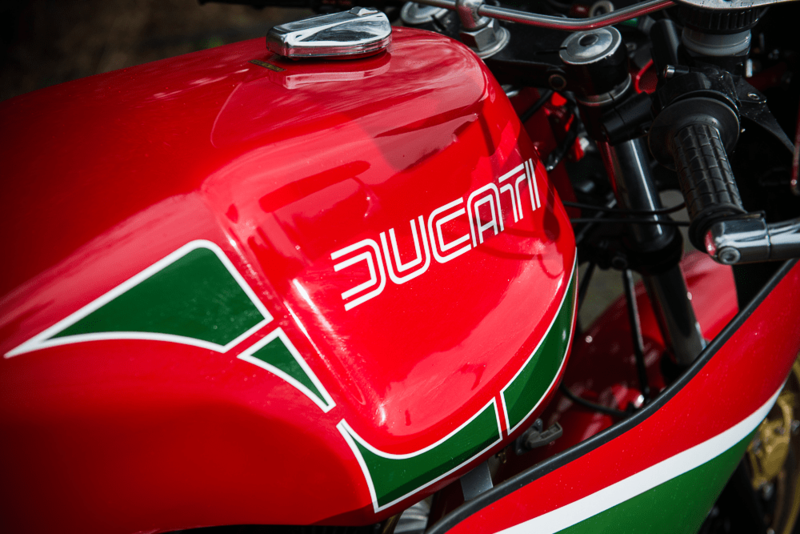 Ducati were, understandably, delighted with this victory and, in his honour, created the Ducati Mike Hailwood Replica which, like Mike’s race bike, was based on the Ducati 900SS. 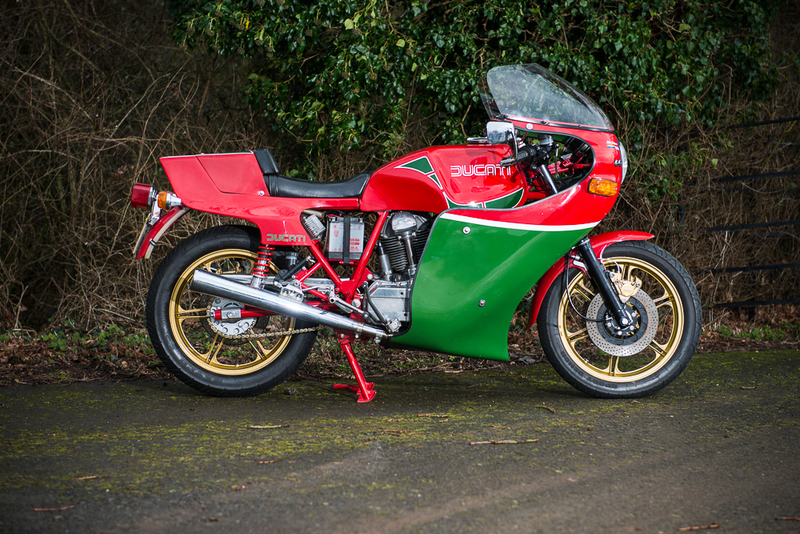 The Ducati Mike Hailwood Replica was on my shortlist of motorcycles that I wanted to include an article about from the very start of OilySmudges, so when I saw that a Mk I model from 1980 was to be auctioned by Silverstone Auctions during their Race Retro Classic Car Sale at Stoneleigh Park near Coventry on 21-22 February, I knew the ideal opportunity had presented itself. 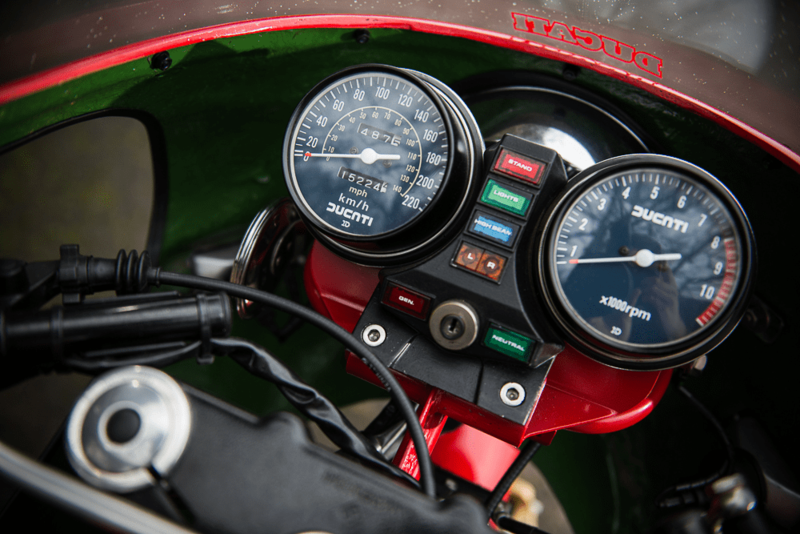 This particular machine has only covered a little over 15,000 miles since new and at some point was the subject of a restoration project. 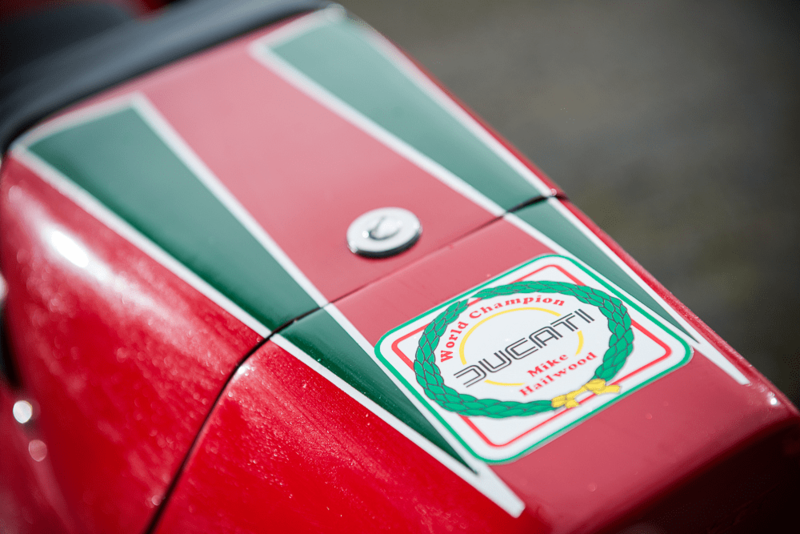 From these images, it looks to have been carried out to a very high standard. It was listed in the catalogue with an estimate of £14,000-16,000 (US$21,506-24,579) but was sold to one, very lucky, individual for £16,875 (US$25,923). 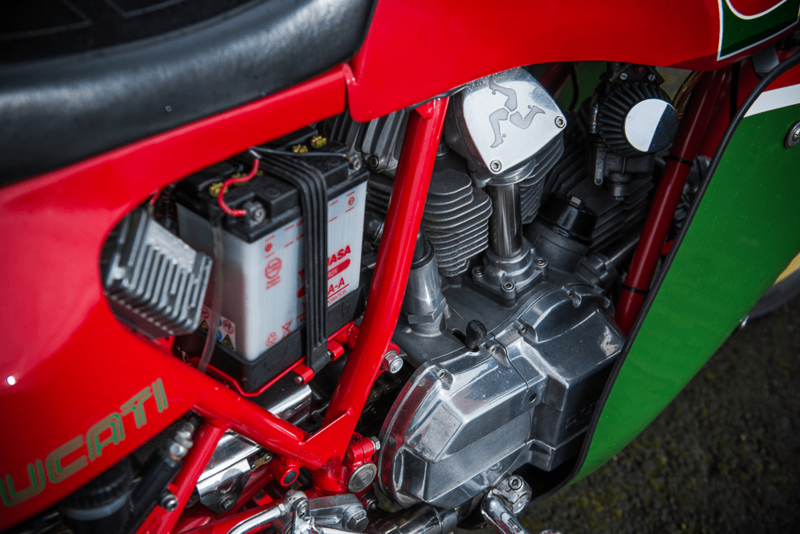 This entry was posted in Motorcycles and tagged air-cooled, Ducati, Italian, Mike Hailwood, motorcycle, racer, twin. Bookmark the permalink.